Japanese towel traditional production area ・ Quanzhou. It is a comfortable finished towel that traditional techniques fostered. It is a towel with high water absorbency and a good texture, with the motif "Sakura" representing Japan. It is the best towel gift for gifts. 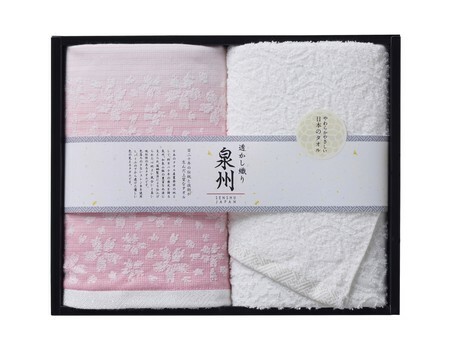 Quanzhou Sakura pattern towel gift which can correspond to various scenes. ※ The picture of the product may differ from the actual due to the environment such as the monitor. Please acknowledge it beforehand. ※ When you wish to order more than the number of stock, please do not hesitate to contact us.